Throughout the 1950s and early-1960s, Jackie Gleason enjoyed a secondary music career, lending his name to a series of best-selling "mood music" albums with jazz overtones for Capitol. Gleason felt there was a ready market for romantic instrumentals. He recalled seeing Clark Gable play love scenes in movies, and the romance was, in his words, "magnified a thousand percent" by background music. Gleason reasoned, "If Gable needs music, a guy in Brooklyn must be desperate!" Gleason could not read or write music in a conventional sense; he was said to have conceived melodies in his head and described them vocally to staff help. 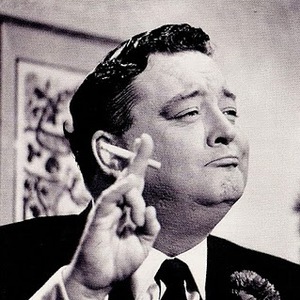 He did likewise with the well-remembered themes of both The Jackie Gleason Show ("Melancholy Serenade") and The Honeymooners ("You're My Greatest Love"). There has been some controversy over the years as to how much credit Gleason should have received for the finished products; it has been written that beyond the possible conceptualizing of many of the songs, Gleason had no direct involvement such as conducting in the making of these recordings.